For over 25 years, ServiceMaster of Muskoka, Nipissing and Parry Sound have been keeping area businesses looking their best. We provide janitorial and other commercial cleaning services to a wide range of facility types from Gravenhurst to Sturgeon Falls. Whether you are preparing to host an important business event or interested in maintaining the everyday appearance of your office, our cleaning professionals have a wide range of experience and can help your business shine..
At ServiceMaster of Muskoka, Nipissing and Parry Sound, we recruit and train our service employees to focus on providing the highest quality of cleaning and the upmost in customer care. ServiceMaster Clean uses an innovative Capture and Removal Cleaning® system that removes dirt and dust from your premises. Our proprietary GreenFOR® line of cleaning products are entirely environmentally friendly. Traditional cleaners are made of petrochemicals that attract dirt and dust and leave behind residues that are harmful to our health. Green cleaning products such as ServiceMaster’s GreenFOR® product line provide a healthier and longer lasting clean. 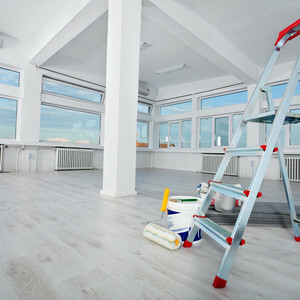 Over and above our janitorial services, ServiceMaster Clean offers the following additional services: carpet and upholstery cleaning, refinishing of hard floor surfaces including vinyl, ceramic, tile, wood or linoleum other material. ServiceMaster Clean is the leading provider of Commercial Cleaning. We would be happy to design a cleaning plan that works within your budget. Contact ServiceMaster Clean of Muskoka, Nipissing and Parry Sound to find out more about our many professional services.